Prop. 37’s defeat was a disappointment to those of us who value the right to know and who care about the quality of our food, our health and the environment. It remains up to us to do our homework, ask questions and stay informed so we can make good choices while shopping. The LA Times’ guide offers info on farmers’ markets from Santa Clarita to Temecula, Long Beach to Ontario. While not all vendors deal in organics, a great many do – and, of course, you can speak directly to those who grew the food and learn as much as you care to know about how it was raised. To find local food elsewhere in the state, use the directory provided by the California Federation of Certified Farmers’ Markets. Of course, farmers’ markets aren’t your only option. Local Harvest is a directory of family farms, CSA programs, restaurants and other sources of local, organic food. Likewise, the Eat Well Guide can help you find sellers of local, sustainably raised food across the US and Canada. Listings range from farms to restaurants to bakers, butchers and stores. 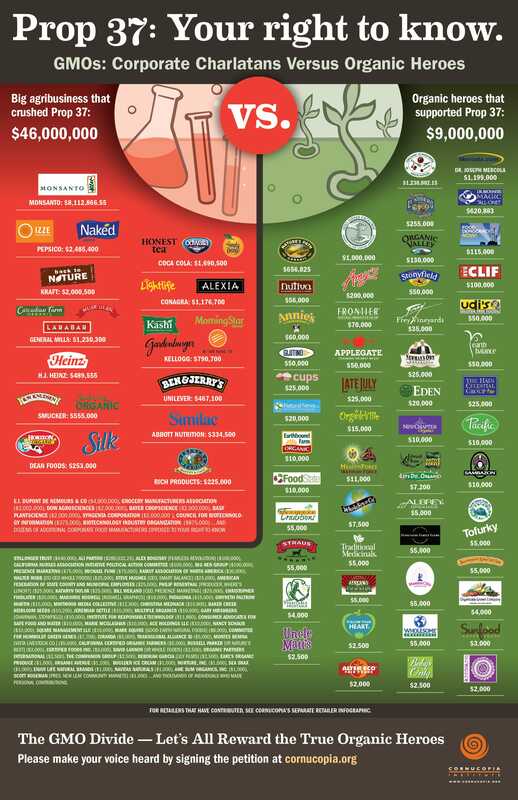 For finding non-GMO foods and products of all sorts, the Institute for Responsible Technology’s Non-GMO Shopping Guide is a terrific resource. Finally, there’s the Good Guide, which features an even wider array of products, with ratings to separate the truly green from the greenwashed. Depending on which poll, and how the question is asked, between 75% and 95% of Americans believe that foods containing GMOs ought to be labeled or identified, so they have a choice about consuming them or feeding them to their children. They are opposed by giant agribusiness corporations in league with captive government regulatory agencies, who maintain, with no evidence whatsoever to support them, that GMO foods are safe for human consumption. Pesticide-producing GMO corn crops are failing due to the very pest they were intended to kill, resulting in huge price increases as corn supplies dwindle. Farmers in India who believed the representations of the biotech industry are committing suicide when their crops either fail or fail to come up to the outlandish promises of the manufacturers, leaving them bankrupt. An estimated 1,000 farmers a month are committing suicide. In the past ten years alone, about 200,000 have died, landless and bankrupt. Monsanto illegally tested GMO cotton in India, endangering the rest of the Indian cotton crop by not troubling themselves to take any containment precautions to prevent accidental spread of the plants to non-test fields. When farmers found out about the illegal fields, they uprooted and burned all the plants in the fields. The government of France fined Monsanto tens of thousands of euros for lying about the safety of its best-selling herbicide, Round-Up. After appeals reaching the French Supreme Court, all of which Monsanto lost, they were left without further places to appeal. Monsanto’s GMO seeds are often sold in conjunction with Round-Up on the premise that weeds cannot survive high doses of the herbicide, while the GMO crop plants can. The government of Hungary burned a thousand acres of GMO corn planted illegally without testing or permission. Many more farmers are alarmed that the seeds they bought might have been secretly replaced with GMO seeds. In many European countries, consumers given the choice of purchasing foods with or without GMOs, as evidenced by mandatory labeling, avoid these so-called “Frankenfoods” by the millions. Americans can’t. When is the last time you saw the words “Contains genetically modified ingredients” on a food label? The biotech industry’s history of mendaciousness regarding GMO plants extends all the way back to the first test plots of GMO crops. We were assured (apparently without any basis in fact) there was no chance whatever of the genes spreading to other plants or weeds. As has been the case ever since, these bland and unverified assurances turned out to be either wishful thinking or a willful lies, unsupported by any testing. Within three years, the weeds surrounding the GMO crop fields showed the same genetic modification and resistance to pesticide as the GMO crops. By this time, though, the genie was already out of the bottle. 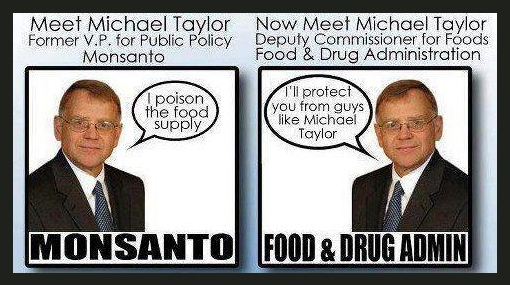 While touting organic food, and planting an organic garden on the White House grounds, President Obama’s administration has turned over US agriculture lock, stock and barrel, to Monsanto, appointing Monsanto rooter and former governor of Iowa Tom Vilsack to the post of Secretary of Agriculture, and former Monsanto Vice President for Public Policy and lobbyist Michael Taylor the [FDA] office of Deputy Commissioner for Foods. * Several GMO crops were promptly approved by the USDA for agriculture. Tom Vilsack flew around the campaign trail on private jets provided by Monsanto. The “big six” manufacturers of genetically modified seeds, have used their seemingly limitless funds to force GMO agriculture on the entire US and are on track to extend its forcible conversion of the world’s crops to all other countries. 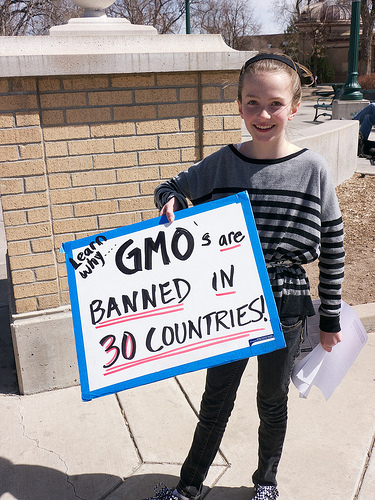 They have used their economic and marketplace power, along with massive government influence, to crush farmers and organizations who refuse to use GMO seeds. They continue their goal of a complete takeover of American food agriculture by gradually purchasing the seed companies that would otherwise provide an alternative seed source for farmers averse to GMO crops. The biotech industry has often made representations about GMO products that have proven false in the long run, proving that they either have not tested their product properly or are lying about the results. This is highly disturbing, given that one of the representations they have made is that GMO crops are safe for human and animal consumption. 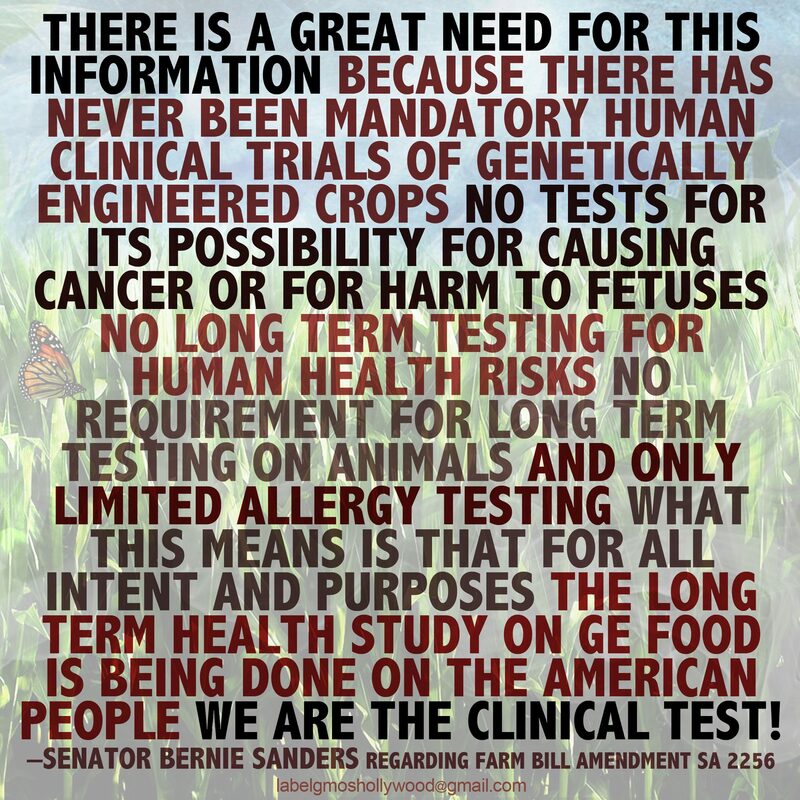 The FDA has relied totally on these representations to approve the crops for use in agriculture and food production, yet no independent testing of the crops has ever been done. Monsanto claims that their crops are “substantially identical” to the unmodified crops when pressed for safety testing, yet claim that the crops are different enough from natural crops to warrant patent protection. At very least, one of these two assertions must be false. Do the words “catch” and “twenty-two” come to mind? Any experienced farmer will confirm the dangers of monoculture. Strains of crops that produce well during wet seasons may fail during unusually dry seasons. Strains that are resistant to one variety of pest may be highly sensitive to a newly-introduced exotic pest. Monoculture, or depending for all your sustenance on one strain of a food plant, is tantamount to food suicide, as some weakness, either to stress, pests or even some dead-end on a multi-generational reproductive series could prove. If the one strain that we have fails to be viable in the long run, we risk massive famine and all its attendant ills. Yet, with the collusion of the US government, this is the scheme that the biotech industry is forcing on American agriculture, and, if they have their way, on the entire world. We believe that we should have some say in the matter of whether we risk mass starvation because of a reckless, power and money grab by the biotech industry. Our corrupt congress and regulatory agencies disagree. One of the common defenses put forth by producers of deadly substances, whether they be vaccines, pharmaceuticals or GMOs, is, “There is no evidence showing that XYZ is harmful to human health.” Such a claim would be akin to a mass murderer claiming that since nobody actually caught him killing anyone, he should be deemed innocent, and the police believing him! I submit that this standard of innocence is not good enough when promoting a product (GMOs or vaccines) or technology (nuclear power generation) that has the potential to eliminate life on this planet. Instead, there should, must, in fact be strong and incontrovertible evidence that XYZ is safe for human life, and that it accomplishes the task it is intended to perform, with strong and independent oversight enforcing safe operation or provision. Barring that, the substance or technology should never be allowed out of the laboratory. The current push by our pandering politicians to deregulate more industries has all the potential for global catastrophe that resulted from deregulating our financial system. The regulatory agencies are in league with corporations in a common genocidal agenda. Either way, the regulatory agencies should be disbanded, saving us all the multi-billion-dollar annual budgets that are clearly being wasted to maintain the sham of protecting public safety. There is no third explanation for the behavior of the FDA and USDA around GMO foods, for the FDA, CDC and NIH promoting dangerous pharmaceuticals while attacking proven natural remedies, and for the Nuclear Regulatory Agency promoting more dangerous nuclear plants in the wake of Three Mile Island, Chernobyl and Fukushima. Without accountability, corporations will run roughshod over populations, corrupt politicians and regulators will enrich themselves at our expense, and life on the planet will be endangered. If we don’t finally wake up to these facts, and very soon, we are all in real trouble. * This sentence has been edited, as the original version of this article incorrectly identifies Mr. Taylor’s post as being in the USDA. 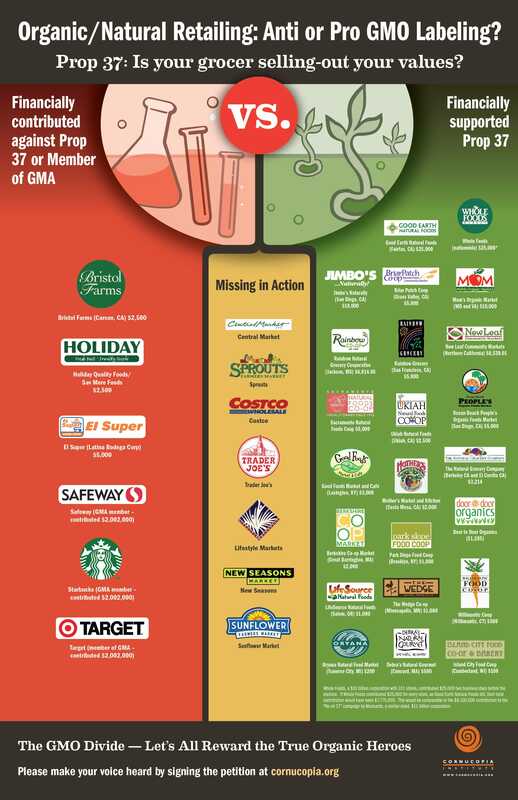 Here in California, our November ballot will include Prop 37, the GMO labeling bill. If it passes, it will – in the words of the campaign – “help ensure Californians have the right to know and choose what they buy to feed their families.” You can learn more about the proposition – and related issues – here. Supporters celebrated as the California Right to Know campaign filed 971,126 signatures for the state’s first-ever ballot initiative to require labeling of genetically engineered foods. The huge signature haul is nearly double the 555,236 signatures the campaign needs to qualify for the November ballot. If passed this November, Californians will join citizens of over 40 countries including all of Europe, Japan and even China who have the right to know whether they are eating genetically engineered food. Labeling genetically engineered foods is a wildly popular idea and enjoys nearly unanimous support across the political spectrum. 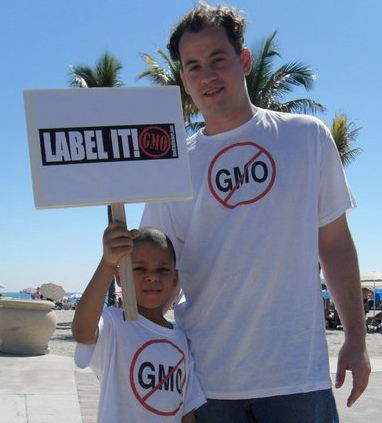 A March 2012 Mellman Group poll found that 9 out of 10 American voters favor labeling for genetically engineered food. “In a country seemingly dominated by partisan polarization on everything from the cause of hurricanes to the state of the economy, it’s hard to find issues, outside of motherhood and apple pie, that can muster over 90 percent support. (W)e found one,” pollster Mark Mellman wrote in a recent article in the Capitol Hill newspaper The Hill.